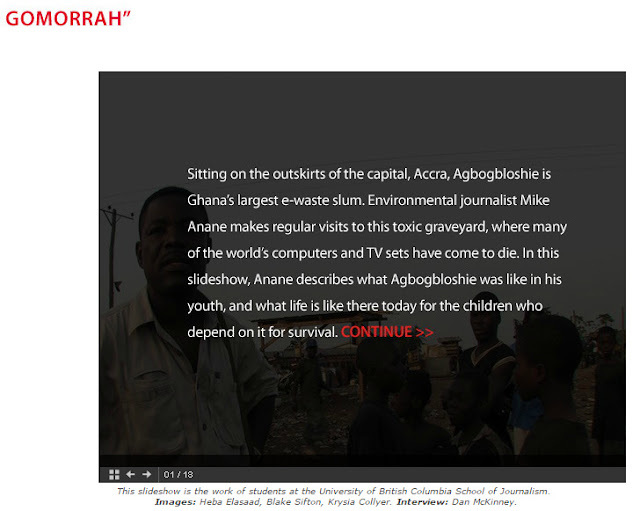 "Sodom and Gomorrah is the nickname for a slum in Accra called Agbogbloshie and it is the largest e-waste dump on the planet. " But it is one thing for a visiting westerner to think pyramids are full of grain, and a lush green riverside turned into the worlds largest e-waste dump over a 15 year period. GravityCollapse was probably in preschool, learning about Africa's jungles from broadcasts in the OECD, at the time Anane claims the pollution all started, with sea containers arriving full of junk electronics, somehow paid for by labor savings at orphan conglomerates. Anane is apparently either fibbing about where he was, or is dishing utter baloney. Inner city Accra is just that exotic. GravityCollapse may be describing his/her personal feelings accurately, but none of us visiting the Agbogbloshie onion market were in any danger. I lived in Cameroon for 2.5 years, and it was a long time ago. 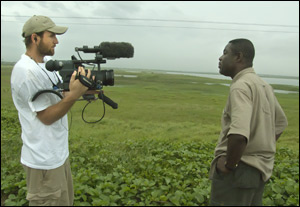 In comparison, Agbogbloshie is more of a traffic jam than an isolated dump on the outskirts. I was running a laptop from wifi, dodging taxis, and the only electronics were arriving by pickup truck and wheelbarrow. But my question is why do organizations like Interpol and UNEP interview Anane and not Grace Akese, whose papers are subject to peer review and who does not charge speaking fees? The term "Sodom and Gomorrah" was given to the slum in an early 2000s urban planning document detailing how to evict the residents there, destroy their homes, and make it safe for development. 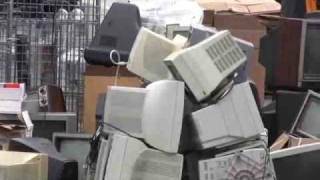 There was no mountain of e-waste then, and there isn't now. Mike Anane is about my age, early 50s. Agbogbloshie has been the capital Accra city dump since the 1960s, and the pollution of the Odaw River has been studied many times in the 1970s, 1980s, 1990s, and 2000s. It's a car scrapyard. 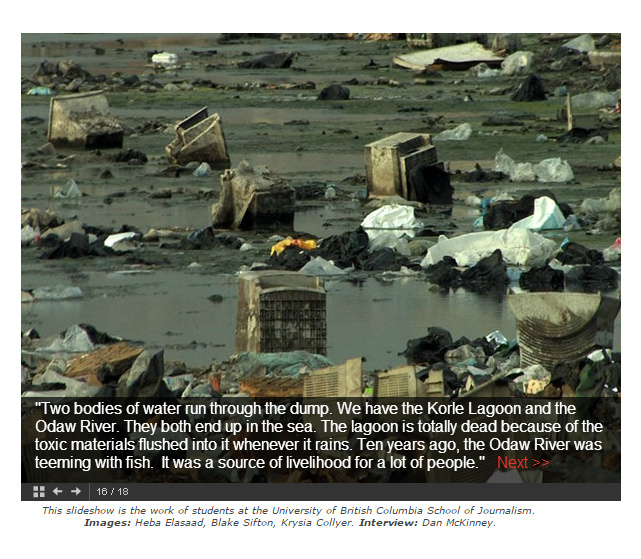 It is not the largest e-waste dump on the planet. It is time that journalists like Peter Klein and Dannoritzer and McElvaney and Raphael Rowe and Peter Essick come and respond to the Africans who call their claims exaggerated, hyperbolized, and ridiculous. They are indirectly responsible for putting Mike Anane in a position to brief Interpol Agents and UK Environmental Agency officials and UNEP researchers, who put Joe Benson in jail, despite every single peer researched study contradicting practically everything they claimed. Emmanuel Eric P. Nyalete shares his perspectives on the Western hyperbole and myths about used electronics imports to Africa.